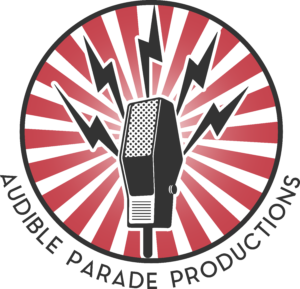 Audible Parade Productions makes movies for your mind. Telling a variety of stories using a full cast with ambient additions and sound f/x. The feel of classic radio broadcasts, created for a modern audience. Built in central Texas. Working with local talent and Hill Country businesses. 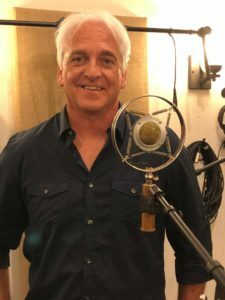 Audio Theater adapted from original screenplays, novels, and short stories by award-winning screenwriter and producer Sean Patrick Bridges. Sean Patrick Bridges graduated from Schiller International University in Heidelberg, Germany. He’s been a Finalist and Semi-Finalist for the A.M.P.A.S. Nicholl Fellowship. Had a project invited to the Sundance Institute. He’s produced and directed two documentary short-subjects in the Caribbean. He’s published novels, written screenplays, short stories and produced audio books. He’s appeared as some form of Law Enforcement in a few TV episodes and film. And he’s worked on various projects with Robert Rodriguez’s Troublemaker Studios. He lives and works in the Texas Hill Country. 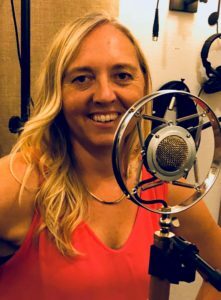 Heather Bridges is the co-owner of a Texas Hill Country company ‘Audible Parade Productions’ an audible production company transforming written scripts into audio theater. She’s a woman with an extensive array of talents, including producing, editing, sound engineering, budgeting, web design and marketing opportunities. Stay tuned for the company’s first production, TRIPLE SIX, coming soon.